What’s In Store For Season 35? With Season 34 wrapping up this week, eyes turn to next season: Season 35. What’s in store? Will Alex Trebek Have A Beard? Considering the feedback received when the news came out, it would not surprise me if Alex started the season with a beard but (either accidentally or deliberately) shaved it off a few weeks into the season. Will There Be a Tournament of Champions? The 2017 tournament came a full two years after the 2015 tournament did, the longest in the history of the show. I hate to say this, but I would not be surprised if this happened again. The show has done auditions for a Teen Tournament, so that is likely going to take the November tournament slot. Moreover, I would imagine that Jeopardy! still has sponsorship lined up with Farmers Insurance’s “Thank America’s Teachers” for May (coinciding with Teachers Week), I would venture that the show will, once again, go with three tournaments (to fit into six weeks of reruns), with the tournaments being Teen, College, and Teachers. Looking into the future, I would also expect Season 36 to have at least one further week of non-regular play (if not more, especially as Alex is currently only contracted to host until 2020), as the show will also need to fill seven weeks of reruns that summer. Any other speculation? Leave a comment! 9 Comments on "What’s In Store For Season 35?" I think everything here re: to have a ToC or have not is well founded. I’d add a point of history that lends credence to it. 36 divides evenly by four… just like 32, 28, and 20. Thus it would make sense for a seventh week of special play in 2019-2020 to be a Power Players Week, with possibly the full S36 Teachers Tournament being taped at Constitution Hall as well. That is, unless the show doesn’t want to travel again; however, D.C. has been the exception to the trend of Jeopardy! going on the road less and less. The current one may continue being used until the end of 2018, and the new one debuts at the beginning of 2019. 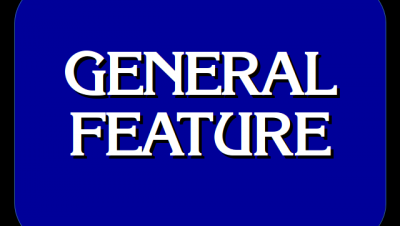 My guess is that John Hoke is likely going to be in charge of composing the new music package for Jeopardy! 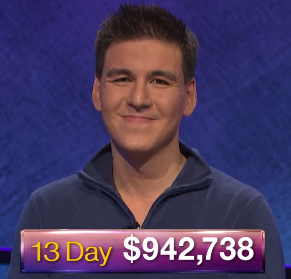 Afterall he did the music for Sports Jeopardy! as well as the current music for Wheel. It’s always possible there will be new music and/or a new set, but I try to make sure that there is some basis to my own speculations in the article. I saw Instagram photos and the only thing changing is the title card. Set is still the same one used since Season 30. Theme music, I don’t know. But refreshing the music package while continuing to use the same set is nothing new. The current theme music was first used when the show was still using the 2002-2009 set. Can you link me to these photos? If Alex is indeed retiring in 2020, they may use the extra week of the summer hiatus that year for a selection of old episodes or other retrospectives (like they did for the 25th Anniversary in 2009, another seven-week-hiatus year). What are your odds on there being one more ultimate Champions tourney before Alex retires? I wouldn’t mind seeing plenty of old, familiar faces come back one more time, both to honor Alex and to reminisce on his long run. Especially considering the show’s “biggest season ever” announcement today, I’d put the chances of seeing another one of those tournaments at “very high”, if not “guaranteed”.